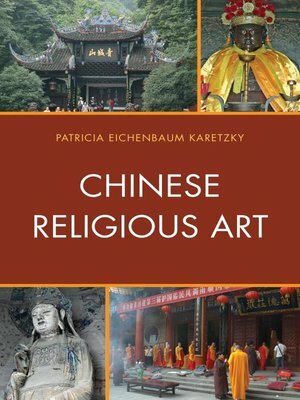 Chinese Religious Art is a broad survey of the origins and development of the various forms of artistic expression of Chinese religions. The study begins with an overview of ancient archaeology in order to identify nascent religious ideologies in various Neolithic Cultures and early Chinese historical eras including the Shang dynasty (1300-1050 BCE) and Zhou Dynasty(1000-221 BCE) up until the era of the First Emperor (221-210 BCE) Part Two treats Confucianism as a religious tradition examining its scriptures, images, temples and rituals. Adopted as the state ideology in the Han dynasty, Confucian ideas permeated society for over two thousand years. Filial piety, ethical behavior and other principles shaped the pictorial arts. Part Three considers the various schools of Daoist belief and their expression in art. The ideas of a utopian society and the pursuit of immortality characterize this religion from its earliest phase. Daoism has an elaborate pantheon and ritualistic art, as well as a secular tradition best expressed in monochrome ink painting. Part Four covers the development of Buddhist art beginning with its entry into China in the second century. Its monuments—comprised largely of cave temples carved high in the mountains along the frontiers of China and large metropolitan temples —provide evidence of its evolution including the adoption of savior cults of the Buddha of the Western Paradise, the Buddha of the Future, the rise of Ch'an (Zen) and esoteric Buddhism. In their development, these various religious traditions interacted, sharing art, architecture, iconography and rituals. By the twelfth century a stage of syncretism merged all three traditions into a popular religion. All the religions are reviving after their extirpation during the Cultural Revolution. Using historical records and artistic evidence, much of which has not been published, this study examines their individual and shared manner of worshipping the divine forces.